Submit your nomination today by filling out the form below! Winners will be notified via email. Students must be living on campus & attending college full time. 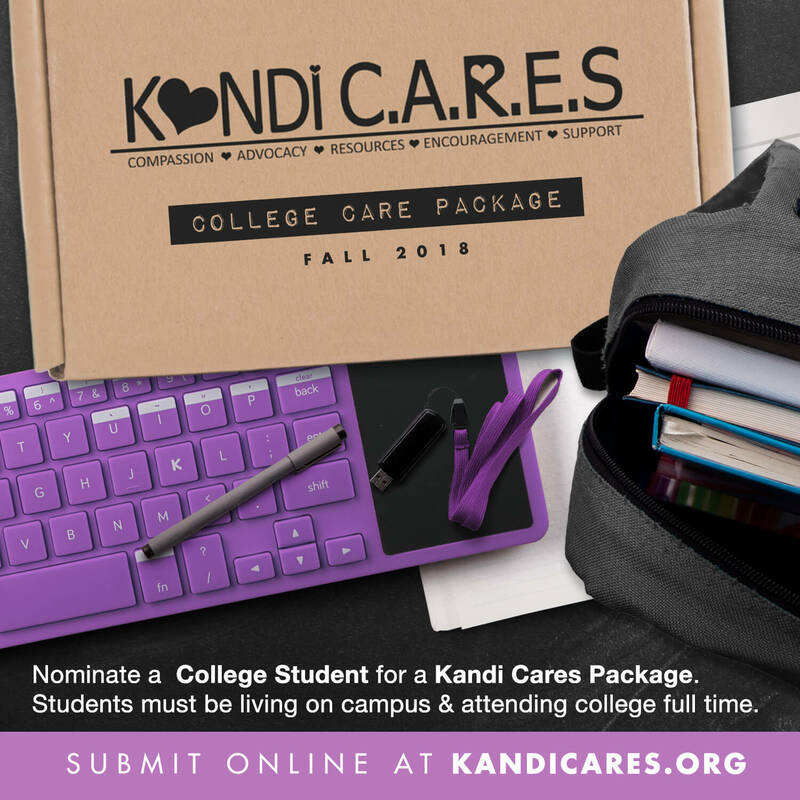 No Comments to "Kandi Cares ‘College Care Package’"